MELINDA Stratton is a woman on the run. In April last year, she fled Australia with her four-year-old son, Andrew, to avoid a custody hearing in the Family Court. In December, her husband, NSW deputy fire chief Ken Thompson, asked the court to lift a ban on identifying Andrew so he could launch an international campaign to find the boy. Photographs of Andrew are now plastered on buses in Europe, and on billboards in England. Mr Thompson has launched a website, and a group email has gone around the world, urging people to contact Interpol if they see Ms Stratton. Ms Stratton – a professional woman from Sydney’s northern suburbs, who has an MBA, speaks French and German, and has lived and worked abroad – has so far managed to dodge the authorities, but yesterday emerged from seclusion to tell her side of the story. A 10-page letter – the first contact between Ms Stratton and anyone outside her immediate family since last April – was provided to The Australian with no identifying marks. It was dated January 15. Ms Stratton says she had no choice other than to flee Australia, because she had lost faith in the Family Court. She says the balance of the court – once firmly in favour of granting custody to mothers – had tipped dramatically towards fathers. The Howard government’s regime of “shared parenting” had given power to fathers at the expense of mothers. “I have lost all faith in any form of justice coming out of Australia,” Ms Stratton says. Ms Stratton does not say where she is hiding, but adds: “Currently, my son is well and happy. “I spent $30,000 on court proceedings. I have been told I will receive harsh penalties as ‘punishment’ for leaving from the Family Court. “I am in my 40s. My son is only four. His welfare and future are my priority. “The decision to break all contact with my family and friends, leave my job and our home was not taken lightly. The battle between Ms Stratton and Mr Thompson for access to Andrew is complex and bitter. She says he suffers from depression and anxiety. He says he suffered from “mild anxiety” when his first marriage ended 20 years ago. “It was nothing more than mild anxiety,” he says. When he launched his campaign to find Andrew, Mr Thompson said that his former wife had a “mental condition”. On his blogs, he says she is “paranoid” and that she may harm Andrew rather than return him to Sydney. Ms Stratton says she has “no mental problems whatsoever”. Ms Stratton has made more serious allegations against Mr Thompson but The Australian is constrained by law from publishing them. She made the allegations in December 2007, left the family home in January last year, and the country in April. Mr Thompson strenuously denies his wife’s claims, saying she “made all kinds of allegations … the psychologists have said there is no reason to even investigate them”. Ms Stratton says the court psychologist is biased against mothers. She points to papers presented by Family Court practitioners in which they say that mothers can make up allegations of abuse and that children can be manipulated by their mothers to say they have been abused. The identity of the psychologist is protected by the Family Law Act (1975). The Family Court ignored Ms Stratton’s complaints and ordered her to make their son available for supervised contact with his father three or four times a week. She complied only a few times before fleeing. 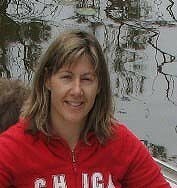 Her move was not unprecedented: although there have been some high-profile cases of men leaving Australia with their children – such as in the case of Canadian mother Melissa Hawach, whose two children were taken to Lebanon by their Sydney-based father and freed by mercenaries – it is overwhelmingly the mother who flees. According to the Attorney-General’s Department, more than 120 children were abducted and taken out of Australia last year. In 75 per cent of cases, the mother was suspected of taking the children. Mr Thompson said his former wife should return to Australia. “I’m not the one who has run away from the court,” he said. “I’m the one who took court action. “She’s decided that the police were wrong, the courts were wrong, the psychologists are wrong, and she’s right. “If she’s right, I don’t understand why she doesn’t come back and see the matter through in the Family Court. The AFP is conducting a criminal investigation into Andrew’s abduction and subsequent disappearance. Interpol has also issued alerts for Ms Stratton and Andrew in 187 countries. The Family Court publication order warns anyone recognising Ms Stratton or her son not to approach them and to instead pass the information on to police. Found, but will he be a little boy lost in the court system? Finding a lost boy should be an occasion for joy, but this was not necessarily the result that anyone wanted: not Ken Thompson, not his estranged wife Melinda, and certainly not their six-year-old boy Andrew. Since Melinda Stratton disappeared 2½ years ago and Thompson began a campaign to find her, the South Australian child protection expert Professor Freda Briggs has spoken to both parents about Andrew’s abduction, and how it might end. Thompson, a former NSW deputy fire chief who has spent the entire time searching for his son, had assured her he did not want a climax involving foreign police, child protection officers and sudden, possibly violent, intervention. In the past 48 hours, since a Dutch school principal noticed Andrew’s expired passport and reported it to police, Briggs has watched as the case unravelled in the dreaded fashion, with all parties powerless to prevent it. Andrew’s mother is now arrested and he is with foster carers who may not even speak his language. ”If it follows the usual pattern, he will be sent back here accompanied by strangers without a stopover. Previous children [in this situation] have reportedly cried all the way home. He will probably be placed in foster care here until the judge makes a decision about where he will live,” Briggs said. If his mother is jailed in Australia for contravening the Family Law Act, or found to be mentally ill as one psychiatrist has assessed her, he might see her hardly, if at all, for some years. ”For a child to be subjected to such trauma can be devastating. The previous children have suffered from mental illness that the psychiatrists thought could be lifelong,” Briggs says. Thompson has in the past strenuously denied serious allegations of abuse made against him by Melinda Stratton, and produced a letter from the NSW Department of Community Services’ joint investigation response team saying they had interviewed Andrew and closed the case. He has revealed that a psychiatrist diagnosed Stratton in a court-ordered report with a paranoid disorder that impaired her ability as a parent. Andrew’s sad case, with its allegations of abuse and counter-allegations of mental illness, has become a flashpoint for emotional debates about the justice meted out by the Family Court and the Hague Convention on the Civil Aspects of International Child Abduction, which creates a system for the return of children located in 79 signatory countries. Briggs believes that Andrew may never have been abducted if the Family Court did not have a history of declaring mothers to be ”mad or bad” when they made serious allegations against fathers. It happens, she says, ”to the extent that solicitors now advise mothers not to mention abuse in the court because of the risk they will [lose contact] or at best have occasional contact that is supervised”. Charles Pragnell, from the National Council for Children Post Separation, said the Family Court lacks the expertise to investigate serious allegations. ”In our experience with many hundreds of similar cases, psychiatrists and psychologists merely label the mother as borderline personality disorder without conducting a professional assessment as they are required to do under their professional standards of practice,” he said. Coral Slattery, of the Family Law Reform Association, said Australian and international laws do too little to prevent children being whisked away, which amounts to a severe form of child abuse. The Hague Convention is little comfort for those who do not know where their child is, she said. Even if found in a Hague Convention country, abducters go before foreign courts first, which can refuse to send a child back to their ”habitual residence” or can do so only after years and thousands of dollars in legal and travel costs. The association has lobbied the federal government to increase the deterrent by making international child abductions a crime punishable by five years’ jail. Unlike in Britain, Canada, the US, Belgium and Singapore, abductions in Australia are treated only as breaches of Family Court orders, attracting penalties including up to three years’ jail. ”I imagine there would be other parents all over the world who would be inspired to do the same thing [as Ken Thompson]. Some of them get found but if they go to the Middle Eastern countries it’s difficult,” Slattery said. Briggs and others believe criminal penalties would be pointless, as most abducters are desperate and do not stop to check the law first.